Harris Teeter is committed to providing an enjoyable work experience with growth opportunities for all who strive to succeed. 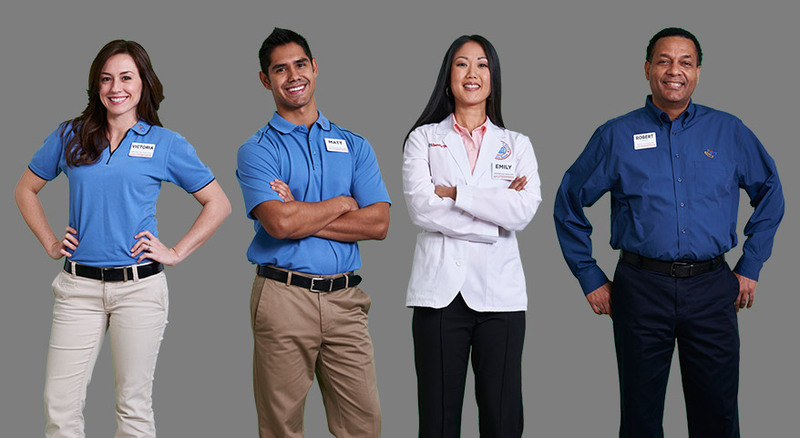 Our associates are the most valuable resource in fulfilling our passionate pursuit for customer service excellence. "I have been with Harris Teeter for almost 9 years. I am very passionate about our brand which includes our products and our people! I am proud that I can feel good about shopping where I work because of our high standards on quality, freshness, and customer service." - I am Compassionate, Dedicated, Family Oriented. "My name is Tinisha W. and I have worked at Harris Teeter for 9 1/2 years now. I enjoy being a Customer Service manager for numerous reasons. I like that my bright personality no only brightens up the customer's day but also all the associates that work with me daily. I have learned that when you treat people as you want to be treated they will always be dedicated and have the up-most respect for me and my positive leader in the company." - I am Lighthearted, Energetic, Dependable. "I have been working with Harris Teeter for 14 years. The thing I enjoy most is the opportunity to teach associates this business and role we all play in serving the community. The advice I would give any candidate for hire:"
- I am Family-oriented, Love Fishing, and Golfing with friends. "I have worked for Harris Teeter for 16 years. I began my career with HT as a part time cashier in 2000. I also worked in floral, HBC, accounting, and as ACSM before joining the Customer Relations Team in 2009. The thing I love most about working for HT is the opportunities and benefits that we provide our employees. There are few companies who can that the majority of their employees in high level roles started out as part time associates in their stores! If you are looking for a career that offers wonderful benefits, room for advancement, and a chance to meet amazing people please join the HT Family!" - I am an Animal-lover, Compassionate, Quirky. "I have been working with Harris Teeter for 14 years. One of the many things I like most about Harris Teeter is the opportunity for advancement and the relationships that are built between the associates & myself. I enjoy working with and encouraging them to reach their full potential, as an associate and as a person." - I am Kind, Positive, Driven. "My name is Charity and I have worked for Harris Teeter since 2002. I started off as a part time cashier while attending Whinthrop University. Once I graduated I was offered full time as a customer service clerk. I have been a store accountant, scanning coordinator, receiver, assistant customer service manager, and currently I am a customer service manager. For anyone interested in Harris Teeter as just part time job, don't discredit making it a career choice. It's a great company to work for and the posibilities are endless." - I am a Firecracker, Hard Working, Artistic. "I have worked with Harris Teeter for 29 years. I enjoy the family I have made while working for such a friendly associate based company. I truly enjoy helping customers and solving any issues they may have. If I had to give advice to potential applicant, it would be to definitely be a people person, friendly, understanding, and willing to always go the extra mile to make a customer's day." - I am outgoing, intelligent, self-motivated. "I have worked for Harris Teeter for 5 years. Harris Teeter is a great company and knows that its strongest asset is its people. Whether you work in Customers Relations, Information Technology, or in the stores, you can see that every department truly value Service Excellence and we do everything with the customer in mind." - I am Motivated, Passionate, Creative. Harris Teeter: A Premium Brand of Community Involvement. Harris Teeter believes that by giving back to our communities, we can build incredible neighborhoods for all of us. We see getting involved in our communities at the local store level and through corporate contributions as an important part of doing business. But more importantly, we want vibrant neighborhoods because that's where our associates and customers live. © Harris Teeter Careers. All rights reserved.